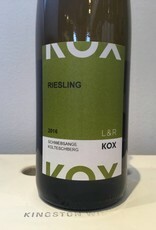 Luxembourgian Riesling from an single primier cru vineyard in the Moselle valley. As a country Luxembourg doesn't produce a tremendous amount of wine, and much of it doesn't travel far from home. Very neat to have an example of this mineral, dry Riesling grown in the cool climate of Luxembourg. Hand harvested, fermented with native yeasts in steel tanks and aged on the lees. "The winery was founded in 1977 by Laurent and Rita Kox, when they took over the family’s business in order to transform it from a grape cultivating to a wine making domain. Today, the family has expanded the winery to 10 hectares and produces typical and atypical Mosel wines. 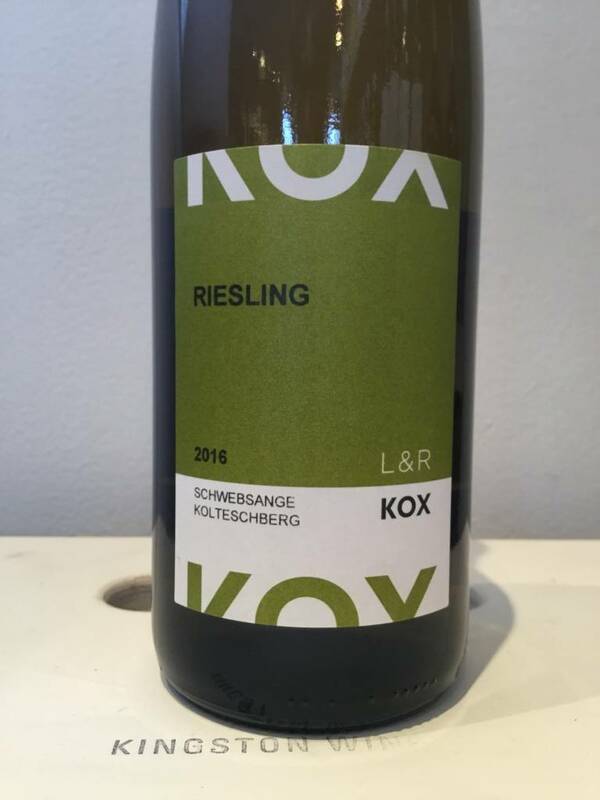 Short macerations and low to no added sulphites for light and fresh Mosel wines."